My partner Amanda usually writes our blog articles. I thought it was important to do a few blogs on a topic that I get excited about…..tax strategies. I know how you feel!! Taxes – UGH! I used to feel the same way whenever I heard the phrase “tax planning”. It was because I knew at the end of the day I’d have to pay taxes. Well in this 4 part blog series I will discuss the different types of income, so that you can start earning the tax preferred kind and hopefully permanently eliminate the taxes you pay. Before I go any further I want to make sure everybody is aware that I am neither an accountant nor a CPA. I do not even work in that field. What I will share with you are some nuggets that I’ve discovered from my research, experiences, and the conversations I’ve had with our CPA that has helped us structure ourselves correctly in order to help us permanently eliminate taxes. My advice to you is to consult with your tax professionals to make sure these principals fit within your overall tax plan, and that they are correctly applied in order to make sure you achieve the results you are hoping for. Before we dive into the details of understanding how to permanently eliminate our taxes, let’s first talk about the different types of income. Don’t get me wrong some income is better than no income! But, some types of income have more benefits than others. So it’s important to understand each type in order to earn the right kind to help keep those taxes as low as possible. This is income that is earned as an employee, by self-employed individuals or partners. Of all the types of income out there, this is the worst kind you can have. Do you know why? Let’s not forget who is administering the paying of income tax…. the government. So if you are not helping any of their causes, then you will not be getting any benefits. As a result you’ll pay high income tax and high employment tax, whether that’s paid by you or your employer. This is income earned from pension plans, 401(k)s and pensions. The only benefit that this category has is that there is no employment tax, but you will still be taxed at the highest levels. Investment Income. 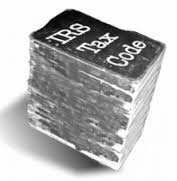 Now we starting to get into an income classification that is taxed at lower levels. 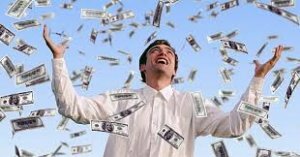 This is income earned from capital gains, interest, dividends, passive income from businesses and real estate. 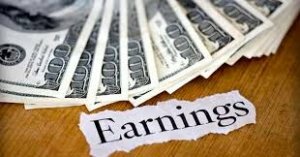 In this range of income you can have capital losses that offset capital gains. This will save you from having to pay taxes on that income. You can also use expenses on investment loans to reduce the amount you are taxed on. You are still taxed though, albeit at a lower level. Dividends are taxed at the capital gains rate in the United States. You can earn some tax free interest if you invest in state and local bonds or of you get some life insurance proceeds. For those of you who are familiar with 1031 exchanges, that can also be done when dealing with stocks, however you can only do that if you own most of the stock in a company. The taxes in this class are paid by the estate and if they have done some good planning, CAN be tax free. This is income from business or real estate you don’t personally manage. 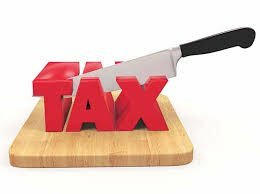 You are still taxed at regular rates BUT there are many ways to reduce your taxable amount, if you have losses from passive investments in business or real estate that can only offset income from similar investment types. 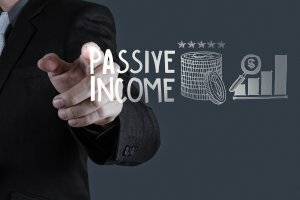 Earning passive income is a great way to build wealth. I mentioned the different tax rates briefly above but only said you’d pay higher or lower taxes. So how much taxes is that exactly? Well here is a table that shows you the different personal rates. As you’ve no doubt noticed, the types of income that allow for lower taxes and more incentives are those that help the government promote their policies. This includes things like owning a business that creates jobs, or better still, owning real estate that provides affordable housing. Taxes are designed to encourage certain behavior by policy makers. I see it as government incentives & economic stimulus to keep the economy rolling. Taxes are a great way to earn more by doing what the government needs done. Taxes are our largest single expense, the average person pays 30 – 50% of income in taxes, from income tax, sales tax, value add tax, employment tax, property tax, import tax, estate tax, gift tax, capital gains tax, tax on dividends earned, tax on interest earned and I’m sure there are a lot more. The average person in a developed country spends 25 to 35% of their life working to pay taxes. There is also an increase in the number of entitlement programs that is creating a higher demand for tax revenues to support them. In the United States alone there are 80 trillion dollars of unfunded social programs such as Medicare and social security, and that number is growing. and only a small fraction of it is devoted to raising taxes. So it only makes sense to include tax planning when doing your wealth planning. Here is an example of how taxation can affect your wealth. it will but will grow to over $198,000 when taxes are zero. We also have to look at all implications when making any investments. Which would you consider a better investment? B) Investing that same amount at a 10% return in the stock market? The $10,000 returned from the stock market is before taxes. Stock market gains are capital gains so they are taxes at 20% for a total return of $8,000. The real estate transaction returned $7,000 before taxes, and with depreciation we are able to shelter it completely from taxes. The total amount of depreciation in this instance was $20,000 so we can apply the remaining $12,000 to other income to reduce taxes. If you’re in a 30% tax bracket, that amounts to an additional $6,000 in savings. As you can see, investing is not just buying a piece of property. We keep up with all the great incentives that are given to real estate investors to try and keep the income we earn to zero. So stay tuned for more tax strategies blog articles. I will show you how we are able to structure ourselves to pay no taxes on the income we earn in our real estate holdings. I will also show you some other strategies that apply to some other types of income that you might be earning or thinking of earning in the future. If you would like more information, or would like to see how you can start partnering with us to earn some tax free income, drop us a line! We want to hear from you. Our contact information along with more details and some great educational material can be found here on our website. NOW is a great time to invest in real estate!! Don’t delay in making your money work HARDER for you.